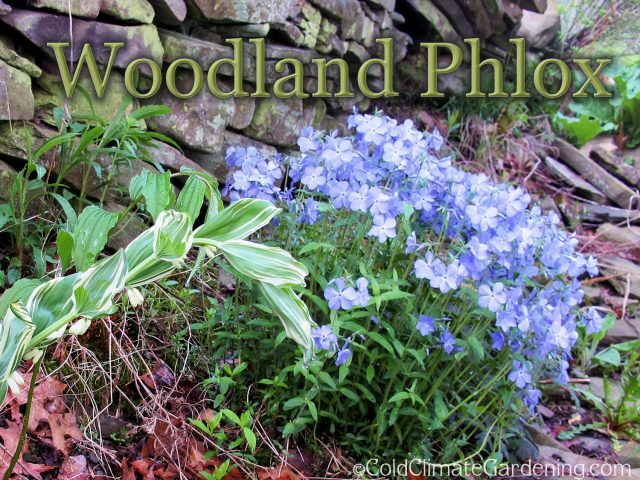 I bought a small pot of ‘Blue Moon’ woodland phlox (Phlox divaricata) in 2013. It was kind of over its bloom period when I bought it, so I didn’t expect much. The following year, it was nice enough, but nothing to write home about. A year after I bought it, it’s pretty, but not spectacular. The following year (which was last year) it bulked up enough that I decided to divide it and plant some divisions in the Secret Garden. In 2015 it was big enough to divide. This year, ‘Blue Moon’ has bowled me over. I planted five divisions, three on one side of the path and two on the other side, so that you would see them from a distance and want to walk down the path to check them out. They are far more enticing than my meager photography skills can convey. The pieces of phlox that were planted last year are thriving in their new location. They create exactly the effect I was hoping for, an ethereal beauty that looks like it belongs there. The color definitely catches your eye, even from other locations than the one I had intended. And the fragrance! How could the fragrance have escaped my notice or memory before now? It’s a sweet perfume that carries far without being overwhelming. It’s the essence of spring. When I was done swooning, my first thought was, More! I need more-more-more of this! and I went to bed that night dreaming of all the places I would plant future divisions. For you see, when I divided it last year, I left half the plant in its original location, pictured at the top of the post. And I bought a very small pot of another cultivar, ‘White Perfume’, at the Ithaca Garden Fair. That has been planted in a different garden bed to bulk up until it, too, is ready to divide. 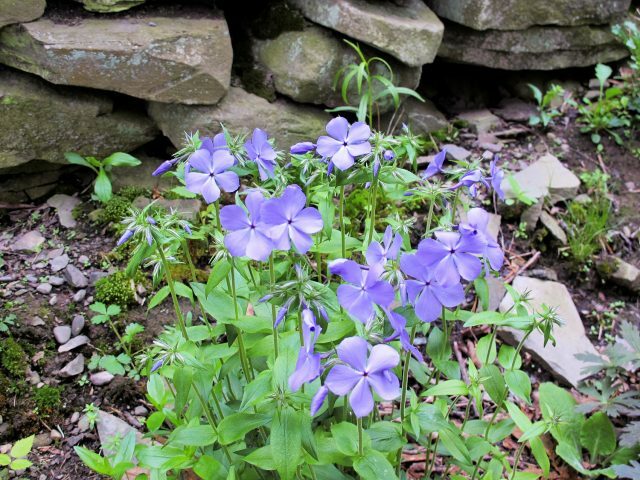 Woodland phlox is native to the eastern two-thirds of North America but has not been documented as native in my county. I’ve never seen it growing in the wild. It likes moist soil and, as you would expect from a woodland plant, dappled shade and a soil enriched with leaf mold. It blooms in my garden in May and in Dee Nash’s Oklahoma garden in March. She mentions growing it from seed. I have never seen seeds on my plant, but perhaps I have never looked. I will be looking this year, you can bet on that. 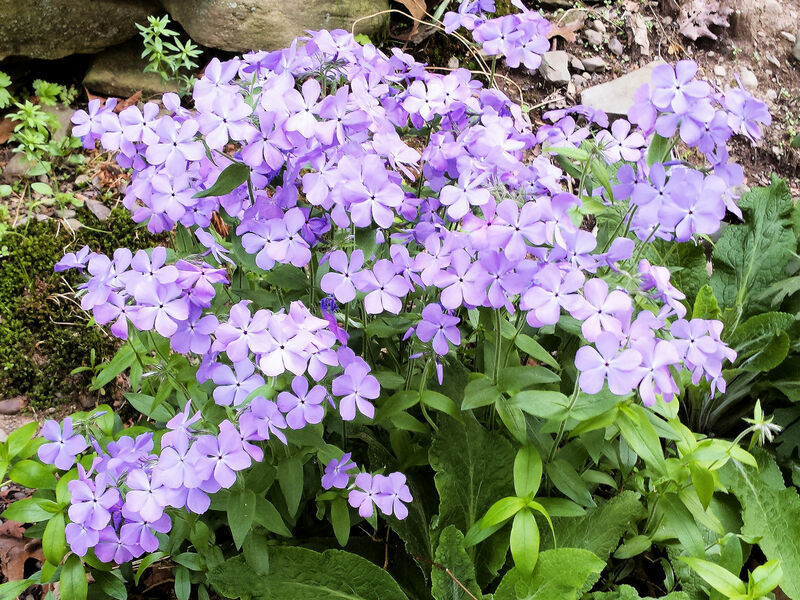 Bonus: Woodland phlox lasts a long time in a vase. 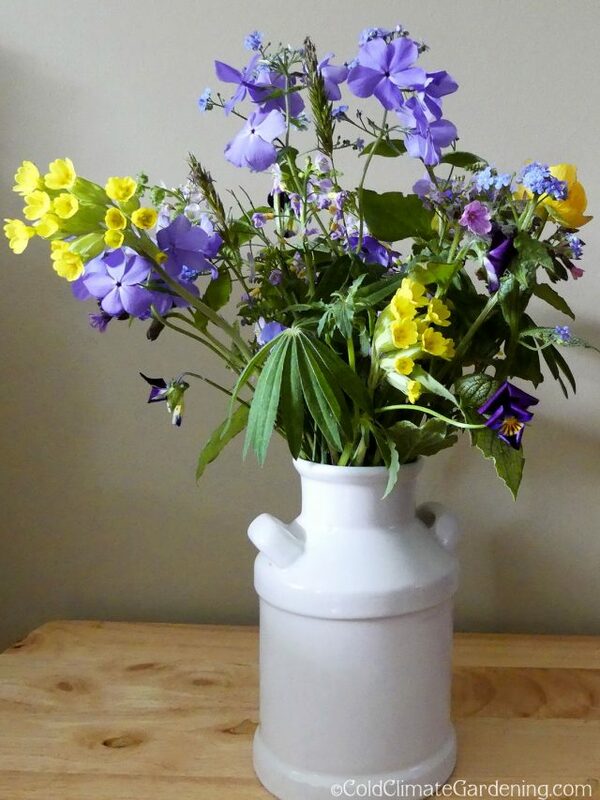 This arrangement is a couple of days old, and the phlox is looking perkier than some of the violas. One of my favourite flowers is also called Blue Moon, but it is a Blue moon climbing rose 🙂 his is a fast growing fragrant rose, it can be grown up walls trees trellis arches old sheds etc, it will produce large blue fragrant flowers from june to november, it will reach a height of 15 feet and will grow well in any good garden soil. I love your posting. Having a moist part shade area where I plant more each year, as I learn. Oh, how I love this phlox! I once had a nice patch of it but I think the violets overran it. It smelled delicious, too. I must try again in another more hospitable spot! Do the deer leave this phlox alone (I guess they must, at least in your woods). I’ve been ripping out all my garden phlox because the deer just won’t leave it alone even when sprayed with Liquid Fence. Most of the Dame’s rocket is also gone from the wild area behind my yard, but that might be because the garlic mustard has choked it out. Anyway, love your blue phlox. 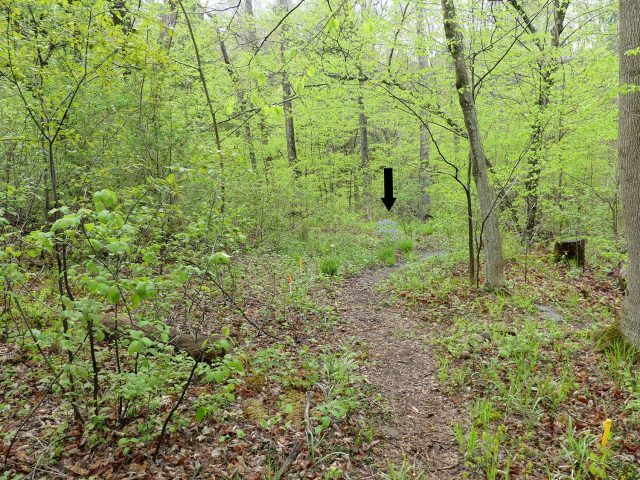 Leave a human scent behind…however, it would best to get a deer repellent. We do have deer, but so far they have left it alone. I am sorry you are having so much trouble with deer–and garlic mustard, too! So very pretty this year isn’t it. 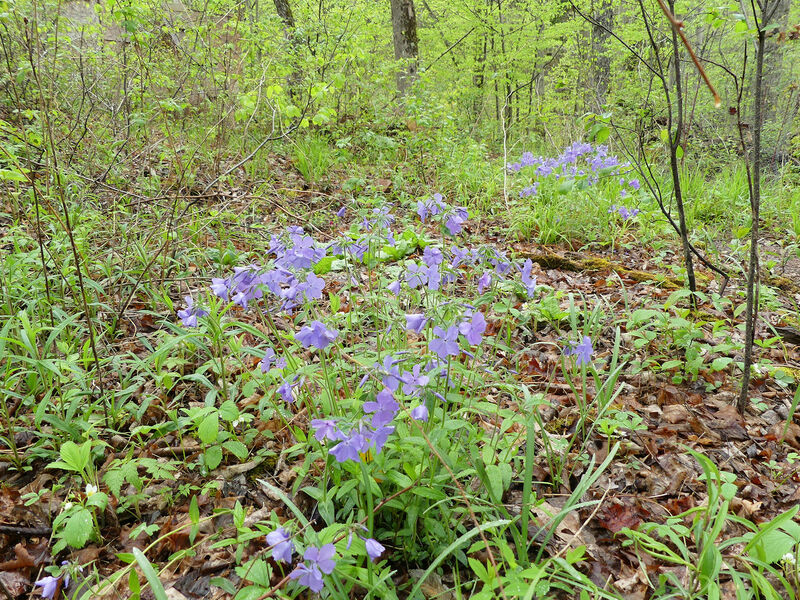 And the spreading in the woods – lovely – it’s all in the “woodland” name. Plant the plant where they want to live and you’re gold. After those two really cold winters I was ready to give up on it, and then this year, have ‘Dirigo’s Ice’, I’ve fallen in love all over again. thanks for the idea of cutting it and bringing it inside. Guess what will be beside by bed this evening?! I love it! There are some beautiful patches of Woodland Phlox at the arboretum, and yes, I agree: The scent is amazing! Now, I am going to be sorry I missed the Ithaca plant sale this year (3rd year in a row I missed it) to get the white one. I think I have yours; I got it at a clearance in 2014 at W&W in Apalachin. This year only 3 flower spikes. I suspect it needs some richer soil. Thanks for the tip. I’ve had just a bit of it for years, but this Spring it was gorgeous. Maybe the milder winter we had in Ohio? I love it…The fragrance and sweet flower faces make me happy. Happy WW. Not sure why I haven’t used this plant before… it is perfect for the woodland. I love the way it looks in yours, Kathy, and seeing it, I know exactly where I will plant mine. I hope I will be as lucky as you and be able to divide the clumps after two years. 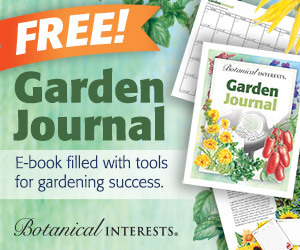 Plant it in rich garden soil in your garden to get it to multiply quickly. Then divide it and plant in the tougher wild conditions. Simple charm and fragrance – what a great combo. I will be on the look out for this plant now. My mother-in-law is a big fan of interspersing phlox with her pachysandra. This spring we bought 10 pots to plant in my garden. They already look great. Look forward to dividing next year.